If you fancy jumping off a waterfall, well don’t! Instead, consider loading up Play’n GO’s new title Wild Falls slot, a five reel slot with a massive top prize that is deceptively simple with an exciting set of bonus games that should give this title some longevity. Play’n GO are undoubted giants of the online casino world – as well as world-leading experts in rendering your name in an annoyingly complex fashion. Oddly placed apostrophes aside, you’ll be pleased to hear that the company is licensed, both in its base in Malta and by the UK Gambling Commission among other regulators. As well as churning out games, and winning awards by the trolley load for them, Play’n GO also run whole casinos, so you can play Play’n GO games in a Play’n GO framework. The company is well known and trusted, and has at least 150 games on the UK market. This one is new, hitting the market in January 2019. A big launch usually means big publicity, so we expect big titles from established producers to do well in their first few months. And, true to form, the title is in lots of casinos – no doubt, loads of Play’n GO casinos – and it’s rated by one reputable audit site as the 47th most popular title in UK casinos. Should you jump into this watery title? Brand new and with a pretty typical RTP (theoretical return to player) for the current market in early 2019, Wild Falls slot promised to return 96.5% to (all!) players over its lifetime. This is a good figure to see. It’s not a very accurate or useful measure for players but indicates that this game should play in a way that is broadly comparable to others in the market. With high variance, you can expect the wins you receive to be higher figures, but you should expect them to crop up slightly less often – again, this is a very inexact measure. A good example of how this might affect your game is the top prize, an excellent 100,000 coins. 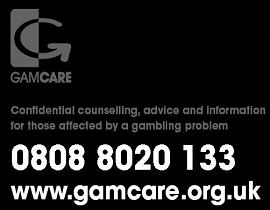 Your betting to win that amount will need to be at the top end of a spectrum that runs from 0.2 coins to 100 coins (usually 20p to £100 – but check the amounts at your own online casino site). Water is the theme here, specifically a massive waterfall in a Wild West setting with mining themes that send prizing plummeting over a virtual Niagara for you to pick up. If you’ve played many Play’n GO games you’ll find the set-up of the controls very simple to understand. The win and information window sits at the centre of a control panel under the reels. The spin button is to the right, with an auto-spin feature – very sophisticated as is the norm these days – to the side of it. The betting control is the dominating feature, and you click to select total bet amounts. The information button at the bottom left opens up the pay-table, and next to it on the right is a balance window. There are further controls in the game frame, including the help option, sound controls, and some more game information. These options may be behind menus on mobile versions. Let’s click on that information button and see what the pay-table holds in store for us. We start with cards, with 10s paying 0.10, 0.50, and 2-times stake for 3, 4, or 5. Using the same format, jacks pay 0.20, 0.75, and 3-times. Queens pay 0.30, 1, and 4-times stake. Kings pay 0.40, 1.25, and 5-times stake. Aces pay 0.50, 1.50, and 6-times stake. The graphic symbols are a miner’s lamp, paying 1, 5, and 10-times stake. The shovel and pick pay 1.5, 7.5 and 15-times stake. The pan of gold pays 2, 10, and 20-times stake. The bag of gold pays 2.5, 12.5 and 25-times stake. There are also chest symbols that are both wilds and scatters that we’ll explain in the bonus section. Chests have lots of exciting properties as Wilds and Scatters. Gold chests deliver multipliers of 2x, 3x and 5x. They can come together to give you a total multiplier of 125x. They stick to deliver Rapid Respins. The Gold Rush bonus triggers during regular spins, with chests becoming gold for those multipliers. Three gold chests kick off a Super River of Gold feature – a free spins round. A River of Gold free spins feature is activated by three chests. Chests in this round stick on the reels and walk down the reels. The round ends when there are no chests left on the reels. Super Rivers of Gold is basically the same deal, but with those gold chests activating the feature, and remaining gold – with their multipliers – during the round. There’s lots of good stuff in this game and it will no doubt continue to be popular with players who like a lot of variety in their gameplay – is that you? Are you sophisticated? There are a couple of negatives though. We rarely like fruit machine music, but of all the crimes against music that have been committed by games designers, the most serious have been in the realm of western banjo music. God save us from western banjo music. It’s also slightly slow to load, with a very lovely, but rather delaying intro screen. Those minor points aside though, Wild Falls slot has everything you could wish for from a good modern slot. Generous figures, great graphics, good gameplay, and bonus games that add an extra dimension to your experience. It comes from a well-known and widely trusted producer and should be available at the sites you love now. Best of all, Wild Falls has massive win potential when all those bonuses start to click in, and it could be time for you to take the plunge with this exciting title now.